Celebrate Mardi Gras with Stoney's Bar and Grill. 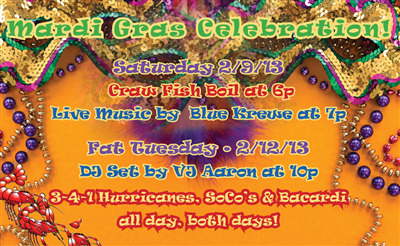 Enjoy live music by Blue Krewe and a delicious crawfish boil. All day drink specials include 3-for-1 Hurricaines, Soco, and Bacardi.